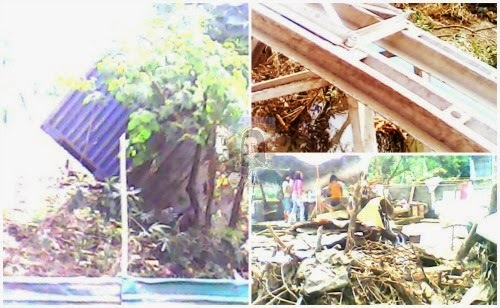 It's been more than a year that Davao City was hit by a heavy flash flood. As far as I can recall there were no typhoons that time but sky was darker, winds blow very hard and rain keeps pouring down. I keep on monitoring the weather and by posting it through my Facebook account to keep others inform on what's going on within our city. 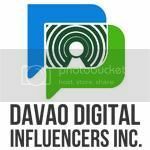 The water level had already risen to more than 15 meters, more than 200 families has been evacuated from Barangay Matina Pangi, Matina Aplaya, Matina Crossing, Talomo and Balusong, but there are some others who refused to be evacuated. After the heavy rains subsided, I feel so down upon hearing the news that there are so many dead bodies along the road and even on the trees hanging. The death toll has reached 29 including 16 minors and some are so young as eight months old. Assumption School Davao Batch 93, I decided to call all my Batchmates to join and help facilitate and donate what they have to the victims, particularly at Barangay Matina Pangi who is badly hit by the flash flood. NIGHT BEFORE "OPERATION SAGIP MATINA"
We've had an overwhelming response from our Batchmates, some expressed to contribute in kind and in cash. 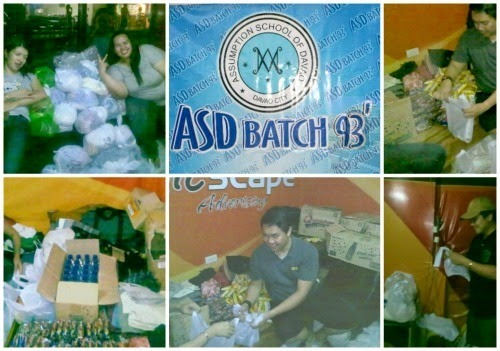 Upon receiving the donations, the product is sorted by my volunteered Batchmates. When we sort, we see to it that the goods given to us are not expired and clothes are still great to wear. 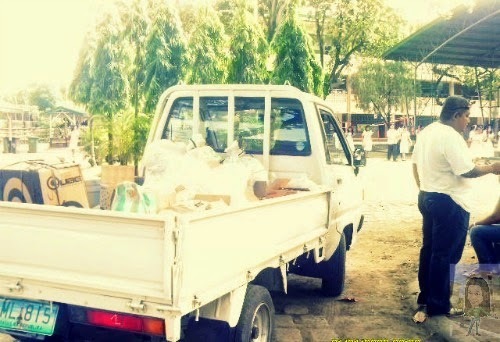 Together with our kids we pack the goodies and headed first to our Alma Mater to wait for the other Batchmates and off we go towards the devastated area to distribute our donations. 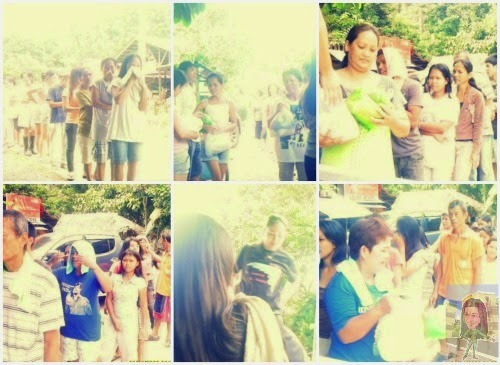 Reaching the place, we feel the pain and grief of our fellow Dabawenyos. These are some of the view we've seen during our visit to Matina Pangi. Too bad to hear their cry, but since we're there to help them build and uplift their faith and we wanted to imply that they are not forgotten, that there are many people want to help them stand again from this catastrophe. 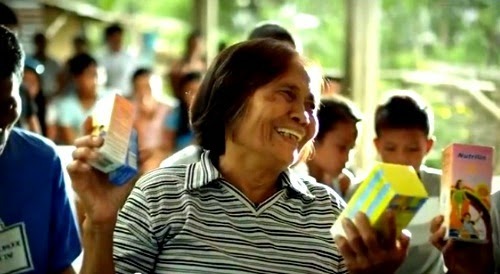 Donations are distributed based on priority of needs. Most of them need FOOD, CLOTHES, MEDICINES and WATER. I believe in the saying, "it's better to give than to receive"... giving is better than the act of receiving because no one has ever become poor by giving. As a stay home mom, I initiate kindness of excellence and compassion by extending aid to those who seriously needed it. So I begun with that focus- I will show kindness so that my kids will see me, what they see they can imitate. 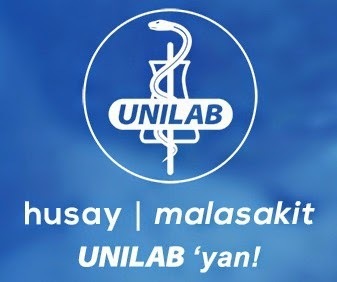 Just like UNILAB the biggest pharmaceutical company in the Philippines believes in the power of husay and malasakit (Excellence and Compassion) and has geared their company's belief in serving people. With the product they produce, they make sure that their facilities and procedures are safe, so that they will be able to take care of the Filipino people better. Ensuring the health and safety of the Filipino people are constantly at the center. 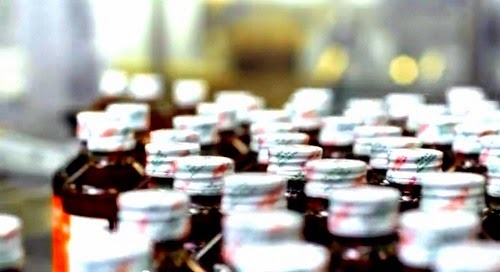 They may have changed their processes in course with the cost increase of technological progress, but their spirit and heart will always be present in the manufacturing of their healthcare products. 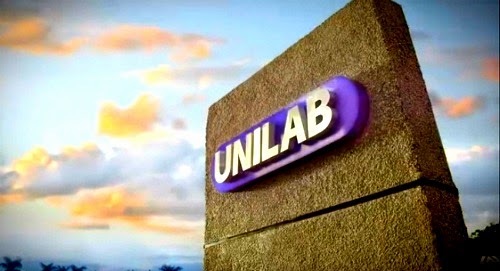 We are so blessed that UNILAB products are distributed across the country—from Luzon, Visayas, to Mindanao, to reach out to everyone in need of superior and affordable healthcare products. 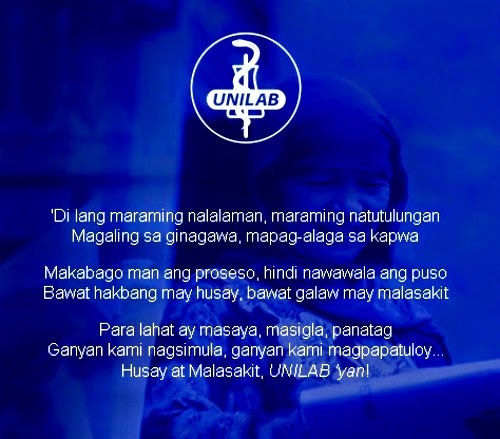 Unilab believes in the spirit of genuine concern to make the lives of other people better as much as I do. 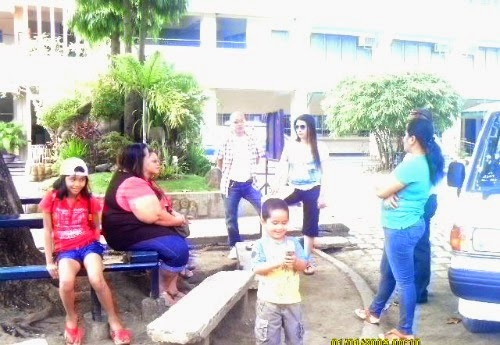 My advocacy did not stop there, even as A Stay Home Mom and even if I'm not the President of our Alumni Batch I will still persist doing community works. 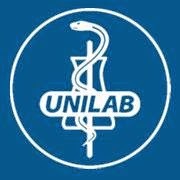 UNILAB is doing their best to be a good pharmaceutical company. I, as a citizen of the Republic of the Philippines want to continue to make our country beautiful because we DESERVE to LIVE in an EXCELLENCE and with COMPASSION community.